Work Here We transform the world through design. Contribute to our values-driven culture. Check the job listings on this page to see how you can become part of our team. Working at the University of Tennessee offers more than just a stable job. The university offers many opportunities that make working here worthwhile for you and your family. 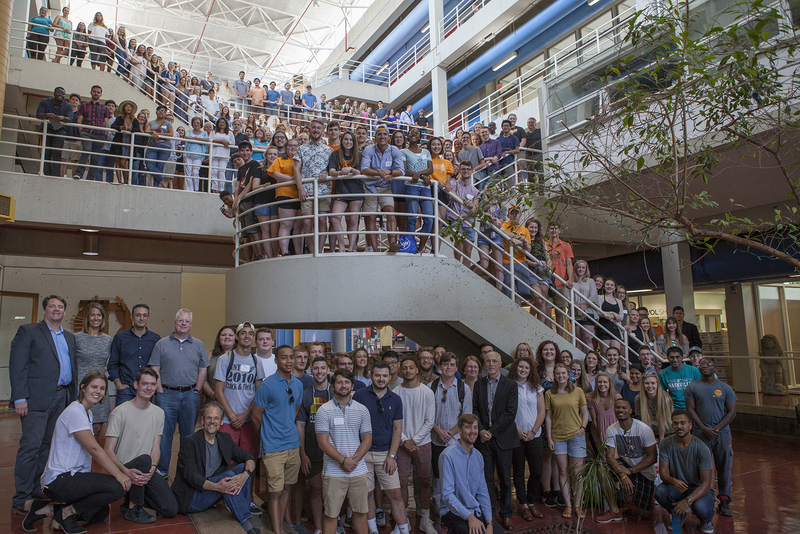 The College of Architecture and Design is part of UT’s flagship campus in Knoxville and plays an important role in helping the university fulfill its land-grant mission to make a difference in the lives of the people of Tennessee and the world. We are often seeking the right candidates to join the School of Interior Architecture. Check back! Check often to see postings for the right candidates to join the School of Architecture. Be sure to check back to see postings for the best candidates for the School of Landscape Architecture. The Tennessee Architecture Fellowship recognizes and fosters emerging design educators whose work shows extraordinary promise for the future of the discipline of architecture. We offer a dynamic, challenging and rewarding environment where innovative education is celebrated, research is supported and collaboration is the norm. We transform the world through design.